All trees are lovely, but sometimes they have to go. But when cutting a tree, making the right decision is hard. Sometimes, people take down trees just because they think they are invaluable to the environment. Avoid this mistake by identifying the condition of a tree that deserves removal. Here are some of them. If the tree is 50% damaged, then it is time to cut it down. Damaged trees consistently decline, and have abnormal growth and appearance. They also have misshapen leaves caused by a toxic substance called herbicide. Damaged trees can survive many years, but it can also cause accidents to passersby. Vertical cracks, seams, dead branch stubs, and large wounds are the most common signs of a decaying tree trunk. When these begin to appear, the circumference of the trunk will weaken, and the tree will gradually collapse. This can harm people and animals nearby. Weak tree roots barely have any structural support, which causes the tree to decay and collapse. Identify this by looking closely at the base. When there is space between the tree and the ground, then it is structurally unsound. When a tree is located too close to your home, that its branches are touching your property, then you should have it removed. Because of mold growth, the branches and leaves might destroy your roof’s siding. It can also reach power lines that are definitely hazardous. A large fungus growing at the base of the tree indicates an internal rot, which could be occurring in its trunk or roots. Fungus can cause diseases to living things, and is a possible breeding ground of poisonous mushrooms. Undesirable species of trees show many dangerous characteristics, including frequent breakage of branches, falling quantities of debris, and shallow roots that can damage lawns and pavements. Some undesirable tree species are Black Locust, Siberian Elm, Box Elder, Mulberry, Mimosa, Norway Maple, and Willows. These species are prone to insects and diseases. 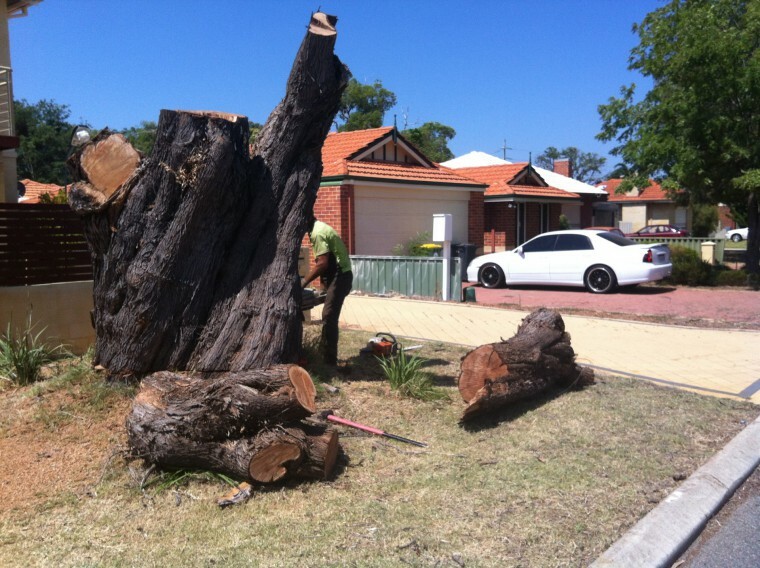 It is important that you closely inspect the condition of a tree before cutting it down. If you need the help of a professional arborist, contact us today.